Blast those darn piggies with water balloon Angry Birds! Inspired by the mega popular video game Angry Birds this takes the game outside into the sun for fun all summer long. 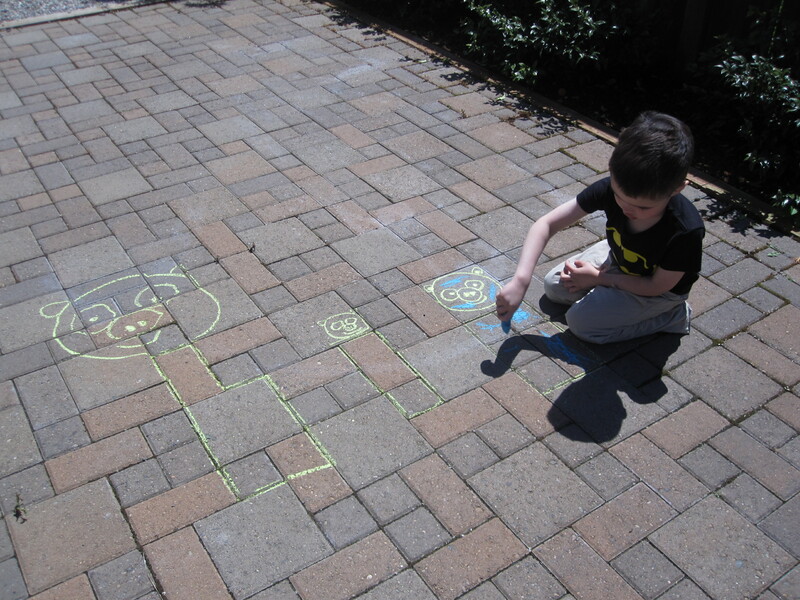 Earlier this year we featured a post by contributing writer Kim about playing Real Life Angry Birds. Well because of that post I finally downloaded the game and have been not so shamefully in love with the game ever since. 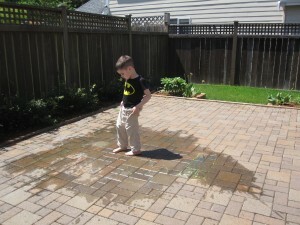 When the sun finally came out I knew we needed to adapt Kim’s post into something for outside in the sun. 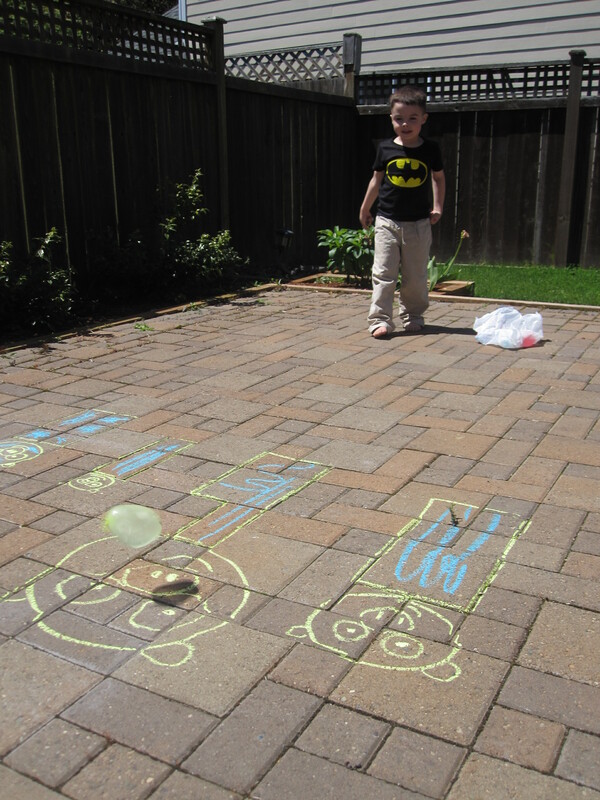 So of course we needed to include water balloons and a little art too! To say we had fun would be the understatement of the century- this was incredibly awesome. Gather your materials. 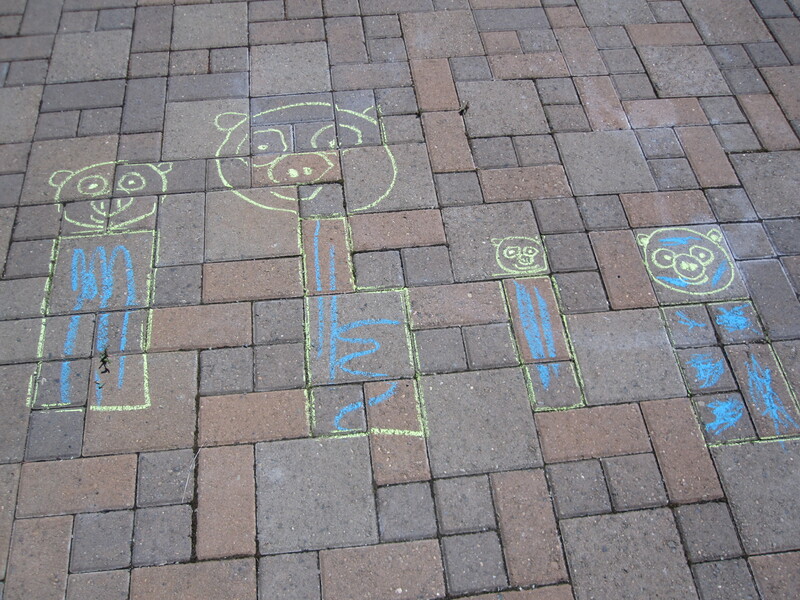 You will need some water balloons, a permanent marker ( optional) and some washable sidewalk chalk . 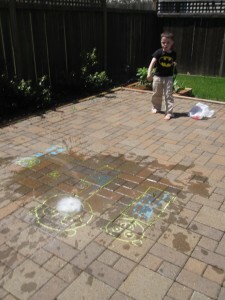 The washable chalk obviously comes off when hit with a few balloons so it’s great for this activity. You may also want a bag or bowl to rest your balloons in so that they aren’t on the pavement where they may pop. Start by filling your balloons. Carefully add angry faces with the permanent marker. 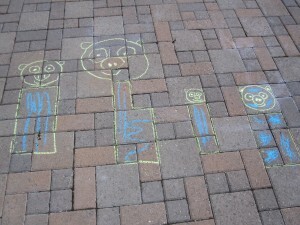 Draw your pigs ( if you aren’t familiar with the game these piggies are your targets). I did the green, he did (some) blue! Get ready to smash those pigs! This can also be a lesson in sizes . Keep blasting . 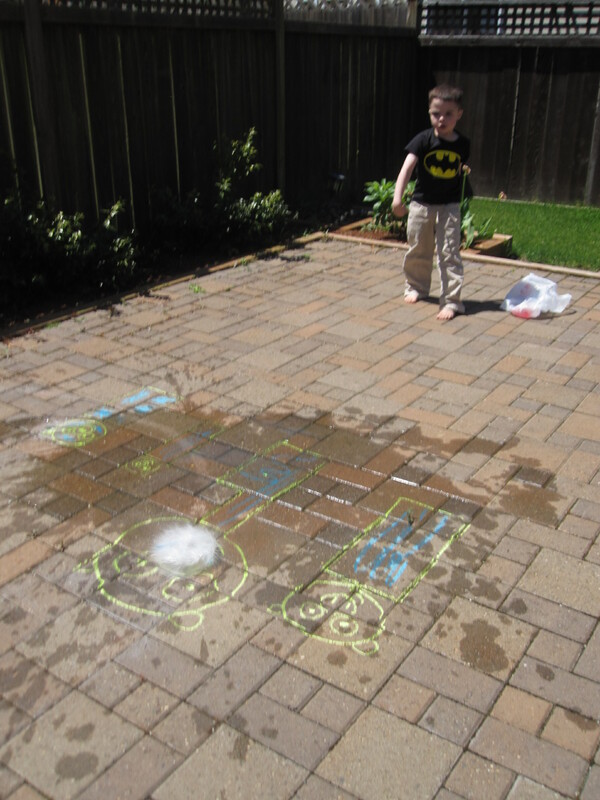 Between balloons I would pretend to tweet a whistle and announce ” Clean Up Crew – Time Out!” then quickly retrieve all the pieces of each water balloon. Please be sure to dispose of them carefully, and keep them out of your children’s reach as deflated balloons are unsafe for kids. We used neon balloons so the bright colors would be easy to spot. We kept going back to make more “birds”. 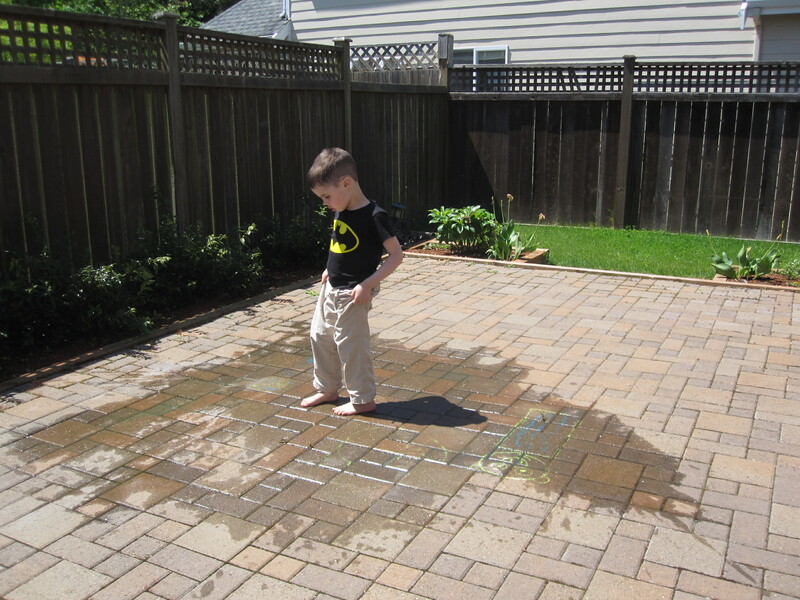 At the end of the game I had my son be the final cleaning crew looking for balloon pieces. This would be perfect for the summer! This is BRILLIANT! My son is obsessed with watching his Daddy play Angry Birds (me, not so much, but of well, lol). He even “wrote” a comic book about Angry Birds yesterday, lol. When I showed him this, he went berserk. Can’t wait to do it! LOVE IT!!!!! Brilliant idea!! Now I have to do this and make a game for Plants Vs Zombies too! That one’s far too addicting as well! We made Angry Bird pompoms a few days ago and the kids absolutely loved it! They put the piggies on paper cups and chuck the birds at them to knock them over. GENIOUS. That is an absolutely awesome idea and I can’t wait to try it! That is hysterical! My 6 year old would love this! Wonderful! 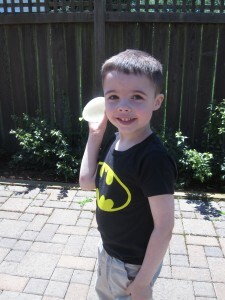 I finally had a use for the water balloons we had around the house. 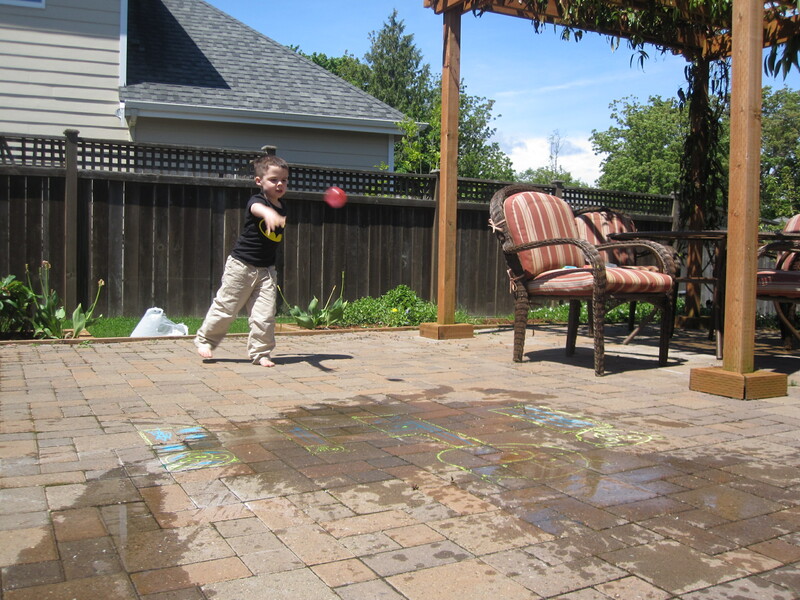 I didn’t like the idea of thowing them at each other but they loved throwing them at targets. We launched them onto a red circle we called Mars since my 5 year old is solar system crazy right now. Thanks for the great ideas. And excellent outdoor interpretation of the game. Bravo. I’ll pass on the idea. Dude you could even go one step further!! 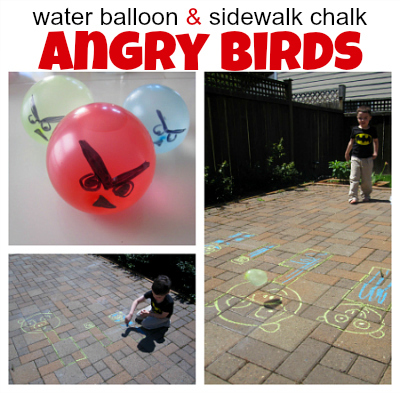 Fill up the green balloons as piggies and then stack them inside of some cardboard boxes as their little houses and see if you can break them with the water balloons that look like the birds!! 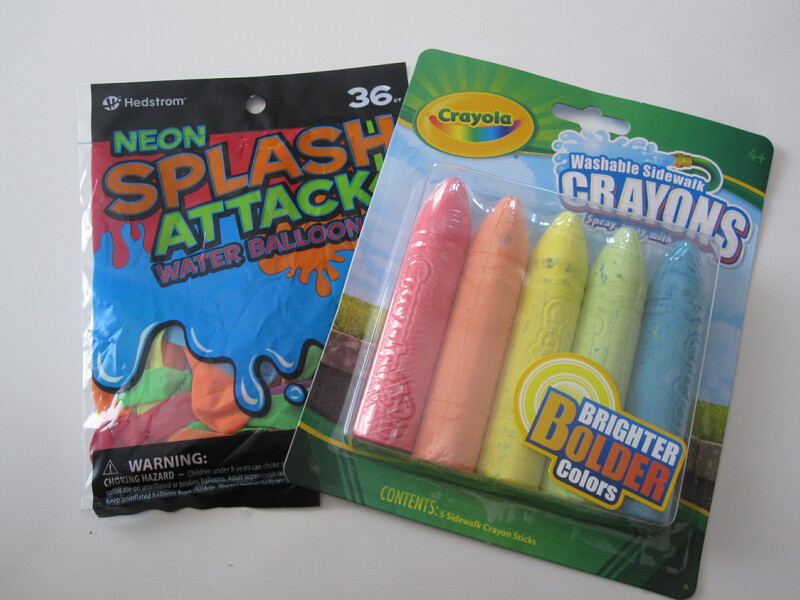 YOU CAN EVEN GET WATERBALLOON SLING SHOTS!! I am so doing this at my next picnic! Oh, yeah! This is great. I love the idea of making the pigs water balloons, too. We have a water balloon sling shot and it would be perfect. We could use empty food boxes and Pringles cans. We ae going to have so much fun. 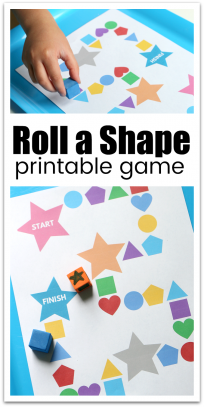 LOVE this idea, we discovered angry Birds Rio after going to see the movie and me, my husband, and my 3 yr old all love it….funny the baby can sometimes get past levels that I can’t. I may just go get some balloons today, we are in the middle of a heat wave. 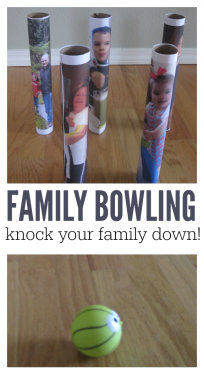 We did this yesterday with three friends over and the kids loved it. In Angry birds rio the birds are trying to hit monkeys. I googled images of the monkeys from the movie and printed and laminated them, I printed out paper doll stands and arranged the monkeys on an assortment of empty boxes and beach buckets, the party store where I bought the balloons also had a 2 ft blow up monkey for about $3 which I put up as well. I tried this with my son today and he had such a ball! We didn’t wash out our pigs so that we can play again in the morning.